For all the news from the village read THE BUGLE, Youlgrave’s monthly community magazine – click April 2019 for the latest issue; and for previous issues see News page. CAR PARK RE-OPENING – Coldwell End Car Park has been closed due to plant movements and works to the foundations and service trench for our new Store and Toilets. The Parish Council apologises for this necessary work and plans to re-open the car park in Mid April. Thereafter there will be reduced capacity due to the area fenced off for work on the new build. The new car park area boundaries are being constructed starting this month and as soon as complete we intend to open this area to provide additional temporary car parking – to become permanent once tarmaced. We hope to have the new facilities opened by early summer 2019. Our Holywell Lane Toilets opposite the Village Hall remain open throughout the year. Youlgrave is a village in Derbyshire, England, located in the south of the Peak District a few miles from Bakewell. It sits on the hillside just above the River Bradford, near its confluence with the River Lathkill. 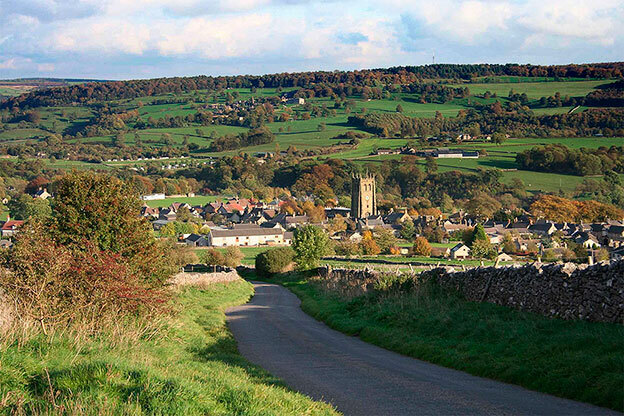 Youlgrave is one of the largest villages within the Peak District National Park and is a thriving community that takes pride in its resourcefulness and rural character. 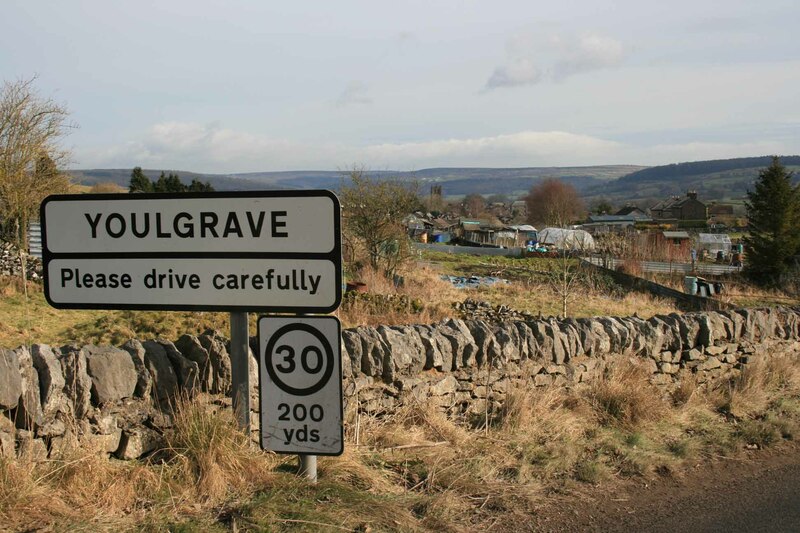 Due to its scenic Peak District location, Youlgrave has become a popular tourist destination. Visitors to the area are able to enjoy a range of activities including walking and cycling with tremendous sightseeing opportunities in the beautiful surrounding countryside. There are many trails to follow that suit all abilities, from novice through to the more experienced. Visitors staying in the area have a good choice of accommodation options and there are several places serving food and drink for the long-term holidaymaker or casual day visitor to enjoy. For those not wishing to use their own motor transport to explore the area there are local bus routes and a private hire tour service. The origin of Youlgrave’s curious nickname has nothing to do with lead mining or welldressing but is in fact musical. The village has its own band – originally brass and now silver – established over a century ago when the local Co-operative store (then based in the present-day youth hostel building) purchased the first instruments. One account has it that since few members knew any music early parades involved not so much a medley of tunes but rather a “pom, pom, pom” sort of sound. Another, rather more fanciful explanation involves a pig resting on a wall and serenading the band with a “tiddly pom, pom, pom” – hence the village nickname! Youlgrave was recorded in the Domesday Book of 1086 as Giolgrave and research by the late Bill Shimwell has shown that it has been spelt in over 60 different ways. In the Middle Ages it was variously written as Jalgrave, Iolgrave, Yelgreve and even Hyolegrave. Although the name is sometimes translated as grove of Iola (or Geola) the clearest connection is with lead mining, which has been carried out in the limestone hills of the Peak District since Roman times. A grove or groove is an old term for a mine or open workings (miners were often known as groovers); and it is likely that the village name derives from ‘yellow grove’, the yellow probably referring to a colour found in the local rock (possibly baryte or barium sulphate). Confused? 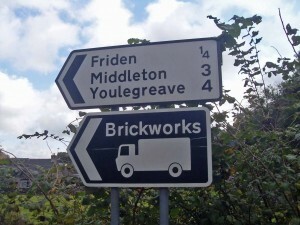 Three different road signs – three different spellings! However, even today the spelling of the village’s name is a matter of contention and confusion. 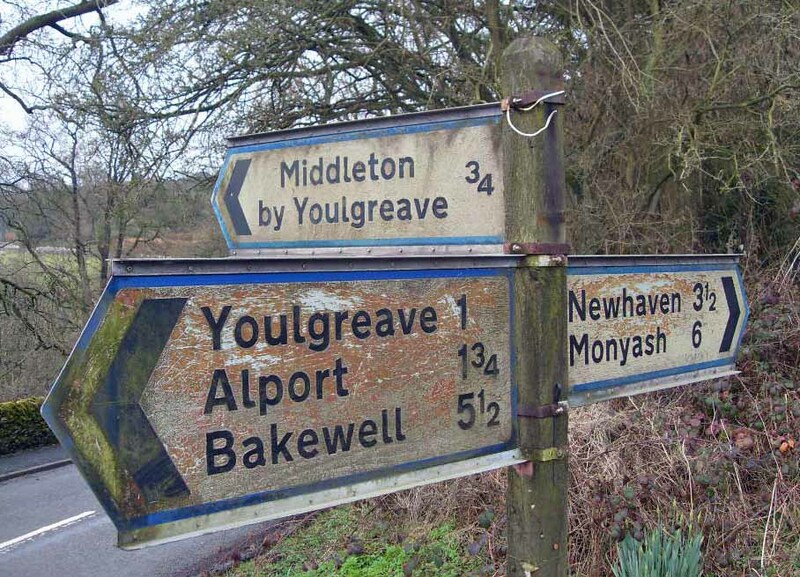 On Ordnance Survey maps and most road signs you will see it spelt Youlgreave, but many villagers drop the ‘e’ and use the more traditional Youlgrave. Indeed, the sign at the Village Hall does away with the ‘e’, as does Youlgrave Waterworks and the village garage. 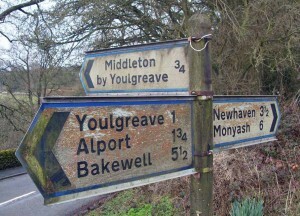 The road signs at either end of the village go with Youlgrave (the Parish Council spelling) while the sign at the A6 turning says Youlgreave (County Council spelling). Then there’s the road sign at Newhaven, off the A515 south west of the village, that actually says Youlegreave. Confused? Here follows a list of spellings of the name of ‘the most miss-spelt village’ as compiled by local historian and former teacher at Youlgrave school, Mr J W Shimwell.